A solid protein is vital to optimizing your daily gains. With the perfect blend of studied and tested ingredients you can achieve peak performance and efficiency in the gym; allowing you to build, recover, and maximize strength in and out of the gym. Instantised Whey protein Isolate, Instantised Whey Protein Concentrate, MCT Oil Powder, Organic Agave Insulin, Natural & Artificial Flavours, Sodium Chloride, Gum Blend [Cellucose Gum, Xanthan Gum, carrageenan], Sucralose, Acesulfame Potassium. Mix one serving in 177-236ml of cold water and consume anytime to supplement your protein intake. Contains Milk & Soy. 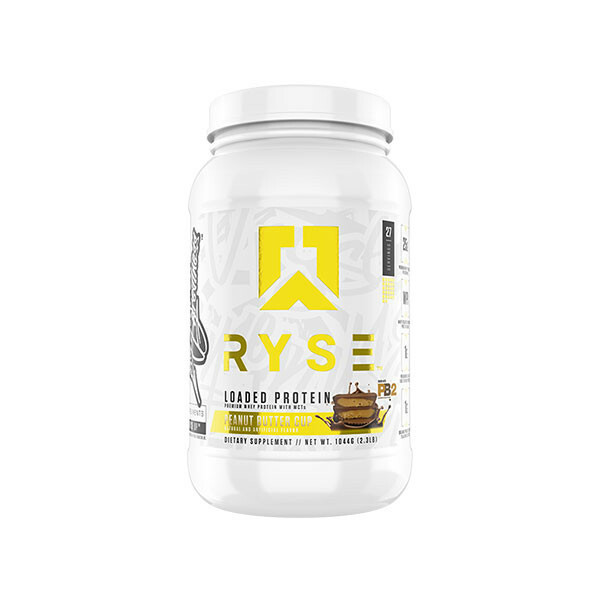 Ryse Up™ products are intended only for healthy adults over the age of 18. Do not use if you are currently pregnant or nursing, could be pregnant or attempting to become pregnant. Consult a licensed healthcare practitioner before using this product. Discontinue use and contact a doctor immediately if you experience an irregular or rapid heart beat, chest pain, shortness of breath, dizziness, lightheadedness, fainting or presyncope, tremors, headache, nausea or other similar symptoms. if you are a performance athlete, please check with your santcioning body prior to use to ensure compliance.